Erin Larner lines up a forehand. The senior was named Big Ten Women’s Athlete of the Week for her efforts against Illinois and Iowa. Senior Erin Larner was named Big Ten Women’s Tennis Athlete of the Week on Wednesday for the third time in her career. It is Larner’s first such honor this season. Larner played at No. 1 singles and No. 1 doubles, along with fellow senior Maddie Lipp, in matches against then-No. 5 Illinois and Iowa over the weekend, winning all four matches. In the most recent ITA rankings, Larner was ranked No. 50 in the country. It was the first time all season that Larner played in the No. 1 singles spot, and she emerged victorious over the Fighting Illini’s Asuka Kawai 6-1, 3-6, 6-0 as she helped then-No. 14 Northwestern (8-3, 2-0 Big Ten) beat Illinois 4-2 on Friday. She followed that up with a 6-3, 6-4 take down of Iowa’s Yufei Long as the Wildcats cruised to a 6-1 victory over the Hawkeyes on Sunday. The senior earned her spot atop the lineup thanks to compiling a 4-1 record at the No. 2 spot. Her lone loss came in a close 6-7, 6-1, 5-7 effort against Oregon’s Shweta Sangwan. 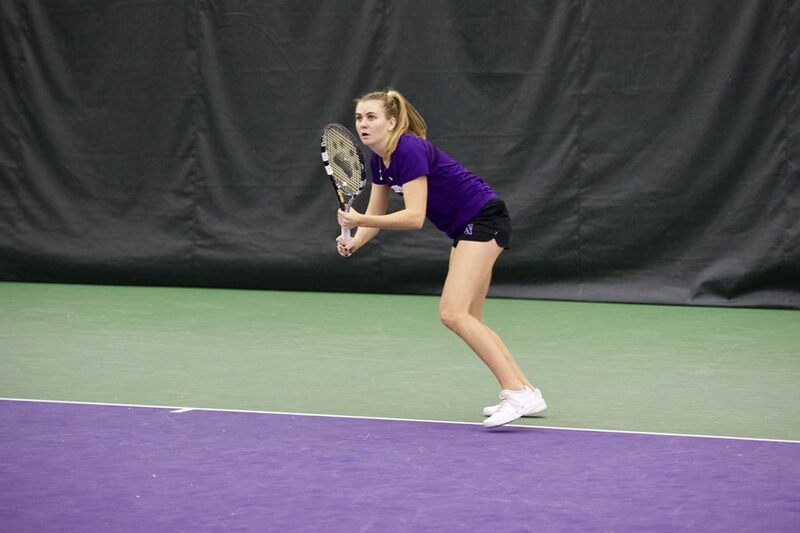 Larner and Lipp also dominated on the doubles court, winning 6-1 to give NU its only doubles victory against the Fighting Illini before helping the Cats earn the doubles point Sunday with a 6-4 victory. After those two victories, the duo moved up to claim the No. 1 ranking in nation in doubles, after previously holding down the No. 2 spot. They have also been atop NU’s doubles lineup in every crucial match this season. The Cats, now No. 8 in the country, are back in action this weekend hosting Georgia Tech and Purdue.